Call of Duty: Black Ops spends a little too much time in the bunker playing it safe, but it's a robust, quality product from top to bottom. 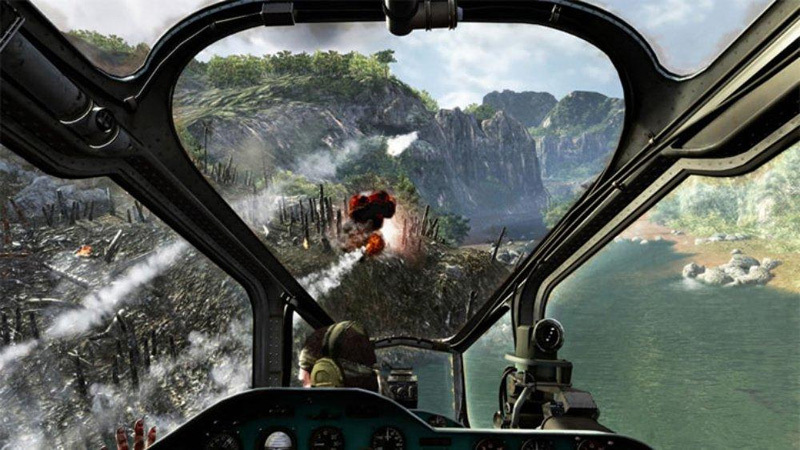 The campaign is brief but memorable, and the multiplayer has taken millions of hours of real world testing to heart. The total amount of worthwhile content makes paying full price for most other games feel like a crime. 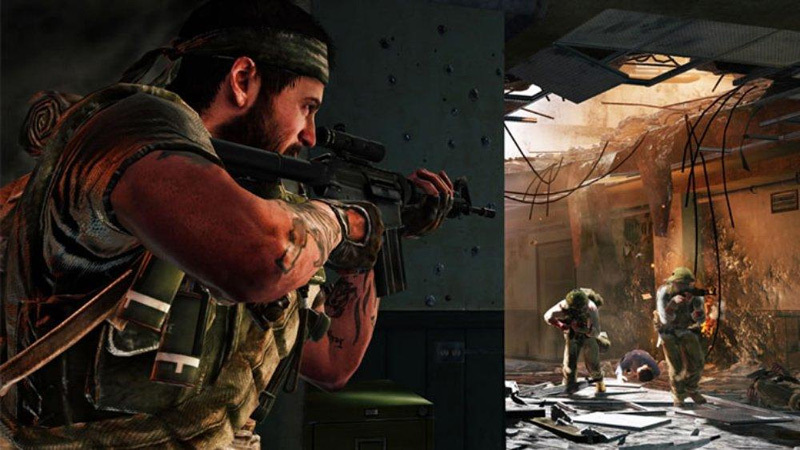 Treyarch has closed the gap between its games and the Modern Warfare franchise with boundless customization, a keen sense of what makes the formula a success, and listening to fans. Call of Duty: Black Ops is a great overall package that has a ton of content to enjoy. 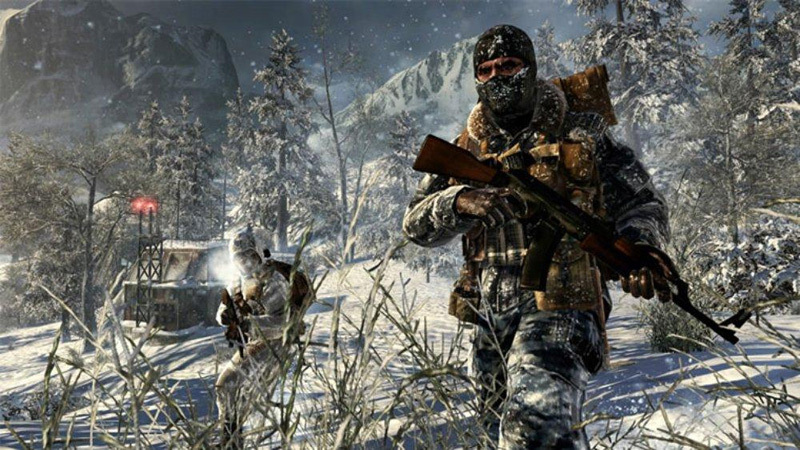 The multiplayer modes are largely based on what was established by Modern Warfare, but the twists that Treyarch throws in work well. My biggest issue with the multiplayer is that the new Wager Matches, while fun in their own right, don't compare favorably to the high-quality and addictive leveling system and game modes from Modern Warfare 1 and 2. Single-player is as exhaustingly fast-paced as ever with large set pieces that try to take the attention off of the lackluster AI of both friends and enemies. When the game gets out of its own way and allows you to actually play it, the experience is somewhat satisfying, but not anything that hasn't been done before, better. There is a pleasant variety of weaponry and all of them go bang. Some, like the scoped, exploding crossbow, offer brief moments of excitement, and the varied missions do make for an interesting smorgasbord of scenarios. 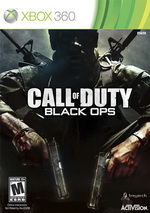 Black Ops is a terrific action game with a solid story and a deep, rewarding multiplayer mode. Sure, when placed up against the other games in the series, players may feel forced to pick favorites -- they may be disappointed that their favorite playlist is gone, deathstreaks are out, or that the Nuke killstreak has been removed (though the Attack Dogs killstreak in its place is really darn funny, and has the benefit of not completely ending the match early). They may challenge each other to figure out which they liked best, or compare sales figures like a high scores on an old arcade machine. Call of Duty has long since settled into an enormously successful rhythm, and the good news for Activision is that Black Ops does little to disrupt it. 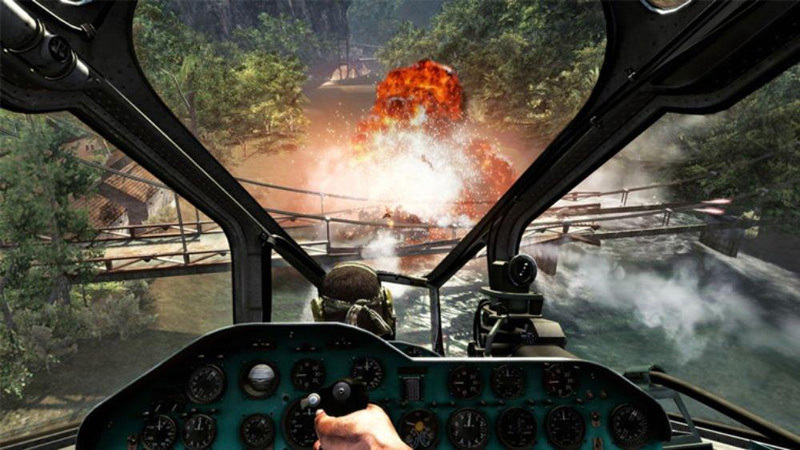 The campaign is relentlessly aggressive and spectacular – a Jerry Bruckheimer tribute act stuck in permanent encore – while the multiplayer modes are a mixture of smart tweaks to working formulas, as focused on protecting that guaranteed bottom line as the campaign's yellow objective cursor is on making sure you never falter. 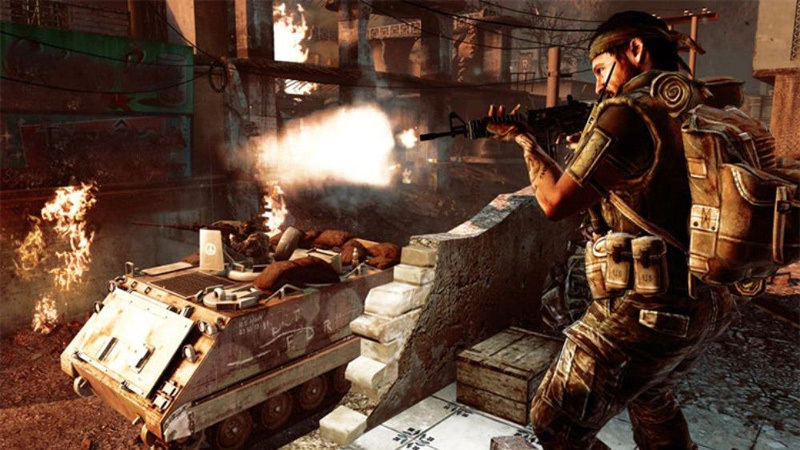 Black Ops’ greatest success in the online sphere is its sheer variety, however. All the usual game modes are here, Team Deathmatch, Search and Destroy, Capture the Flag, Sabotage and so on, in addition to customisable games and a levelling system that is a step forward for the series. In spite of our passing concerns for the distant future of Wager system, as it stands, the concept is solid and it certainly won't run out of appeal any time soon. Lo único que podríamos pedirles es que los disimularan lo mejor posible, y en este juego el 98% del tiempo se ha conseguido. 'Black Ops' pasa por derecho propio a estar al mismo nivel que 'Modern Warfare' en calidad general, y con el mejor modo Campaña de la saga. Con un multi tan divertido y completo, sólo podemos estar ante un producto excelente sin lugar a dudas. El mismo perro de otros años, pero más grande y con más mala leche que nunca. Fantástico. Call of Duty: Black Ops es el puñetazo encima de la mesa de Treyarch. El modo zombie, con tres niveles bien logrados, corona un juego largo, bien pensado, y un multijugador buenísimo. Si te da igual la horrenda historia –y estamos en lo mismo de siempre: un juego que va a vender 10 millones de copias debería ser mejor en eso, porque tiene cierta responsabilidad- Black Ops es, sin duda, uno de los mejores shooters del año.